How do you confront your deepest fears? Do you avoid them? Surpress them? Do you constantly recall some type of fear when we were young. Maybe it was a mean sibling or bully in school. Do you still hold on to that fear or have you made a decision to not associate with that negative event anymore. We may not be able to do a lot about our outside world, but we can do everything about our internal world. Now is the time to take charge. Only you can take back your power. When you allow yourself to believe in your fears, your stories, you convince yourself that you allow darkness more than light. It won’t go away. Not until you embrase your fears or get to the bottom of what you are afraid of, will you be able to move past them. The first thing to do is write down your fears. Then once you are aware of them, take action. Get a mentor or coach. Take a course on managing your fears. Read up on it. Get a massage to relieve your stress. Change your environment. Put support structors in place. Protect yourself from your fears. Take a quantum leap. Do something you normally wouldn’t do. Step out of your comfort zone. Add supplements to your eating regimen. Start a savings plan. Do whatever it takes to ease your heart and mind. Make a commitment to yourself and hold yourself responsible. 100%. Find your fear and take it on! Create a life filled with meaning and love …. Take 100% responsibility of your life. 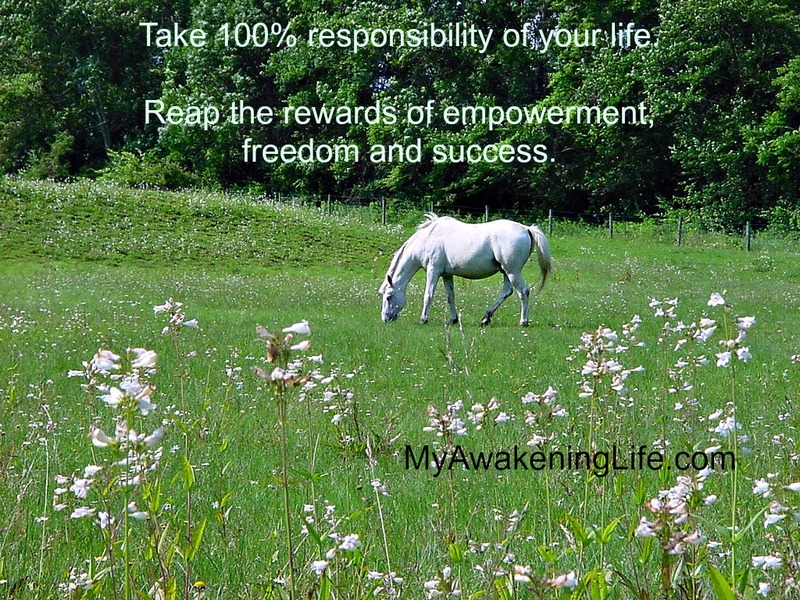 Reap the rewards of empowerment, freedom and success. Live like a tree. Take roots and reach for the sky!